You are here: Home / All Recipes / Non-Paleo Recipe Collection / Gluten Free / Tabouleh, version one thousand and two! Tabouleh, version one thousand and two! 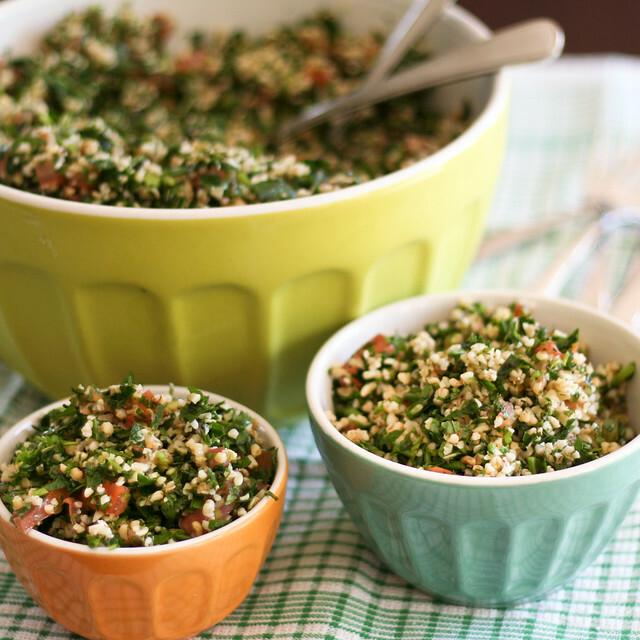 If you search the Internet for a good tabouleh recipe, you will likely find a thousand and one different versions. While they are all pretty similar, no two are exactly the same. Some call for couscous, some use bulgur wheat, others use millet, even. Sometimes, mint will be added in large quantities, sometimes not at all… I’ve even seen a few that called for cucumber… Then there are those who use a lot of bulgur, and those that use close to none. 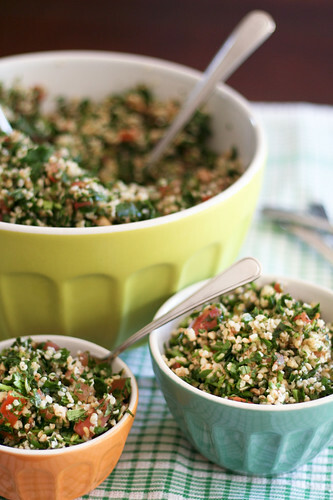 I guess the bottom line is,a good tabouleh recipe is one that you will enjoy! I like to make mine with plenty of bulgur wheat and LOTS of mint. Also, I find the key to making good tabouleh is to chop your parsley and mint really really fine, so much so that you can’t even tell them apart. If you don’t have any sumac on hand, don’t go run to the store to buy some. But if you do, do add a little bit to your tabouleh. I find it really takes it to the next level! Rinse bulgur under running water then soak in cold water for at least 3 to 4 hours. Drain well and transfer to mixing bowl. Add your chopped parsley, mint, green onions and tomatoes. Set aside. In a separate bowl, add garlic, lemon juice, sumac, salt and pepper and give this a good whisk. Pour over reserved salad and toss gently to combine. 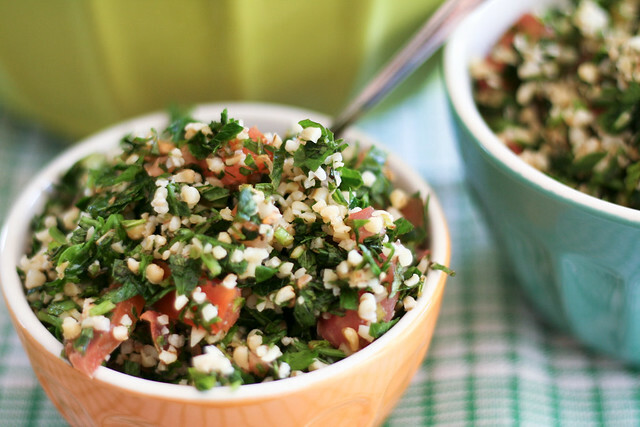 If you can, let your tabouleh sit in the refrigerator for a couple of hours to allow the flavors to fully develop. I really love your shots. The colors and textures and composition are so attractive. The clarity is what I really struggle with. 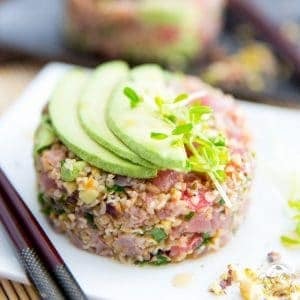 Thanks for a great tabouleh recipe. Just one question: where do you find bulgur? and what is it precisely? I get mine at my local grocery store, they keep it with all the dried beans and rice. oh how I love tabouleh! 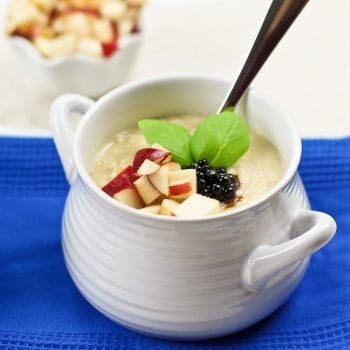 it’s honestly one of my favourite things to eat….I eat a huge bowl full at a time! 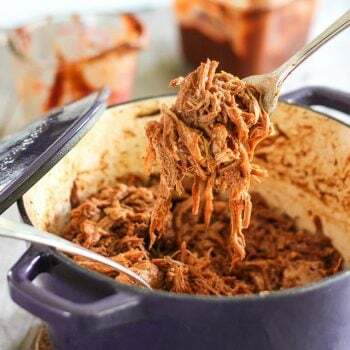 I love how you say that the best recipe is one that you like the most, because it’s so true! I’m going to have to make some tomorrow! Ha! You made me smile at your “version one thousand and two” title. I have always enjoyed tabouleh, but I haven’t made it in years. Why not? No good answer comes to mind. With bulgar wheat sitting in my cupboard as I type this, I must get down to business. Your recipe and gorgeous photos have convinced me. Also — I have never used sumac, but your description sounds lovely, and now I can’t wait to try it. Thank you for the healthy boost… 🙂 And congratulations on a well-deserved Top 9 from foodbuzz. Congrats on top 9 at FoodBuzz! 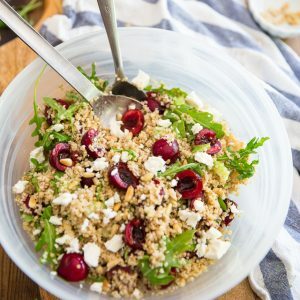 Love this healthy grain salad – beautiful colors! Your post title got my attention! 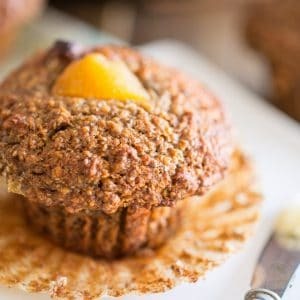 This recipe is similar to mine. Love all that mint and parsley. But I never thought to add sumac. Great tip, thanks! 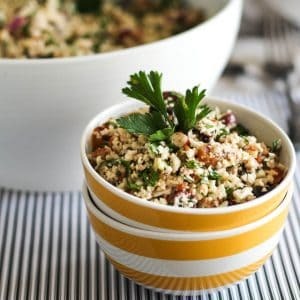 I’m WAY ahead of you: I’ve got a thousand and SIX recipes for tabouleh, but yours looks so good, I’m inspired to make it number one thousand and seven!! 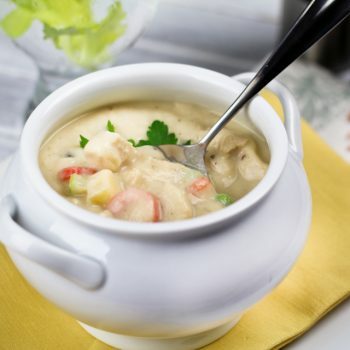 There could never be too many versions of this dish – it’s so refreshing and perfect for the heat. 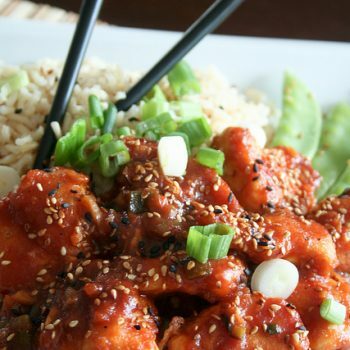 I will definitely try it with sumac next time, I LOVE sumac. another great post! what does sumac taste like?